How to deal with inclusion? For many years, Prof. em. Dr. Dr. h.c. Olga Graumann worked in pedagogical and educational research and taught pedagogics at the University of Hildesheim. As a former special education teacher, challenging fringe areas of pedagogy are particularly close to her heart. She always encouraged her students to think of their own role not just as tutors but also as parts of complex personal teacher-student relationships. Integrative work, such as group formation and the encouragement and guidance of cooperative action are therefore always regarded as a general purpose of educational work. Thus, with her publications and her practical work, she was over years at the center of the integration movement. 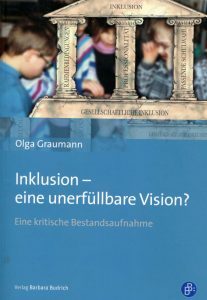 With the book “Inklusion – eine unerfüllbare Vision?” she is critically concerned with the further development of the special education discussion. The developments in institutional special education in the early 1970s caused an apparent homogenization of the students. Criticism of this approach is not new: Even representatives of the progressive education movement (Reformpädagogik) of the 1920s suggested non-segregating solutions to deal with special challenges. The critical pedagogy of the 1970s and the comprehensive school movement took up these ideas of one school for all. Nevertheless, it took four decades for educational policy to focus on non-selective education. 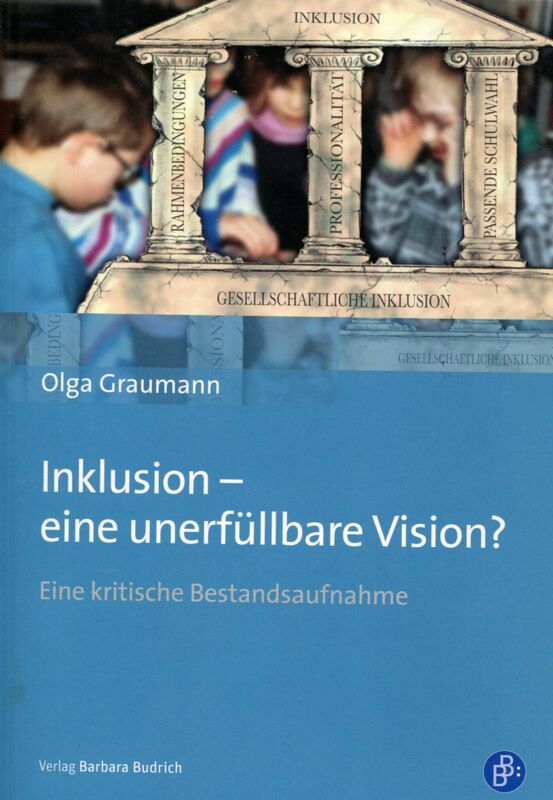 Graumann works towards the goal of measuring the current implementation of inclusive education in terms of demands based on progressive (reform pedagogical) and special educational experiences. Based on case vignettes of successful integration (chap. 1.5), she derives aspects which are suitable to rethink school from the point of view of the impaired children as a safe living and learning space. With this view into integrative pedagogics, she opens up the field of reference to which inclusive work must continue to refer: open forms of teaching, individual learning support, reconstructive diagnostics, constructivist views of learning and teaching concepts are presented in detail in their meaning for integrative action (chap. 3.1). The author then devotes special attention to the theoretical concepts of the Geneva School (Jean Piaget), the cultural history school, Dewey’s pedagogy and the Visible Learning approach (chap. 3.3). The following section on “Participation and Democracy” shows values that affect every educational activity. Without appreciation, tolerance and consideration, no school can be a place where someone likes to live and learn. A special and very up-to-date section (chap 3.4) deals with teacher professionalisation. From a humanistic view, the author takes on the approach of integrative responsibility of teachers. For example, she expects teachers to understand behavioral problems as relationship problems and not to push off this responsibility to school social workers. Referring to Oevermann, Graumann establishes claims not to regard conflicts as unilateral problems in the child’s actions. From this perspective, she demands a change in teacher education that stresses relationship aspects in contrast to mere teaching aspects. There is no problem child, there is a human being. Therefore students should be able to learn about the socio-educational and therapeutic dimensions and foundations of interdisciplinary cooperation during their education. In a section on working in migration contexts (chap. 3.4.5) Graumann underlines the need to recognize personal experiences that determine the practice as historical and relative. Another focus of the book is supported by voices of school authorities themselves (chap 4): “Inclusion from the perspective of those affected”. Now one can ask if the word affected is an appropriate description of the relationship between the school and its agents. However, the word summarizes the statements of school administrators, teachers and parents, interviewed about their experiences with inclusive schooling. It becomes apparent that inclusive schools in many cases doesn’t manage to give adequate support for the individual child. Special support interventions seem to be ineffectively organized until now. The chapter provokes critical thinking. In addition to reporting relevant research results and empirical findings, Graumann develops fundamental aspects which can contribute to a successful implementation of inclusive learning environments (chap. 5). Special Educational Competence, Team Teaching, integration assistance and interior design are examined as conditions of success for integrative work. The book does also contain a DVD. The elementary school “Eichendorff-Schule” in Bielefeld has a long tradition of successful integrative and now inclusive work. The film shows a pedagogical setting that gives you hope and shows how successfully established inclusive school life has the potential to make its actor happy. Integrative work by truly committed colleagues shapes a living and learning space in an enjoyable and expedient way. The book shows how enlightening a historical view can be, for the pragmatically conducted discussion about school and social inclusion. Even for parents of disabled children, this is a readable book to help in making a decision or choice of schools. Offering a set of reference theories from social psychology and sociology (chap. 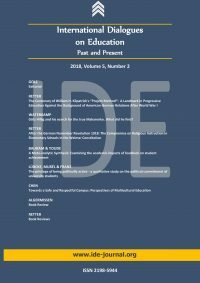 3), it is an informative and extensive compendium for students and teachers of all disciplines who want to gain a more thorough overview of the persistently difficult relationship between general education and special education. A book that enriches the discussion and that has been missing.